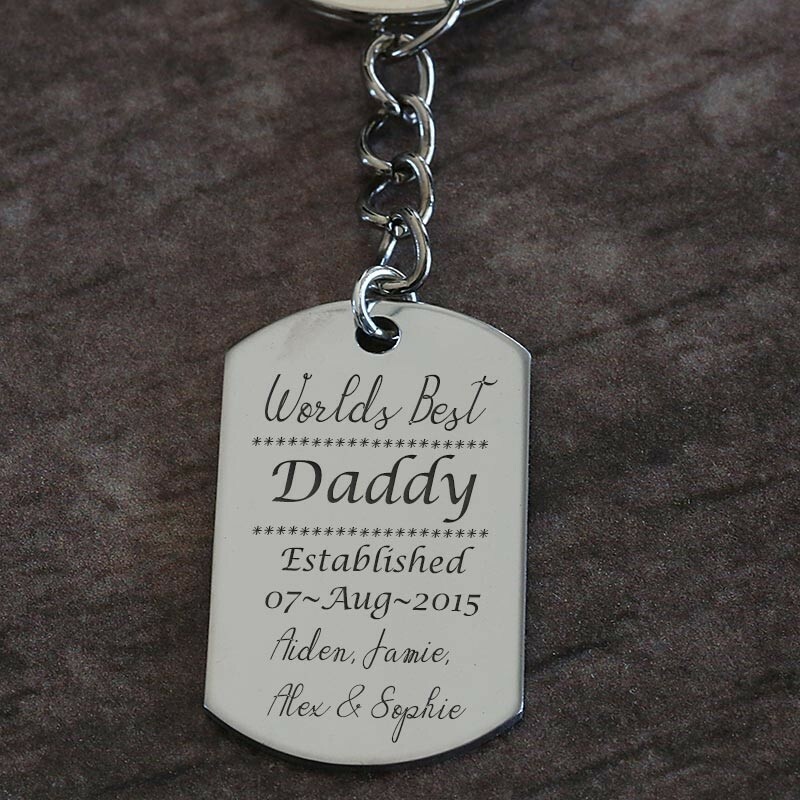 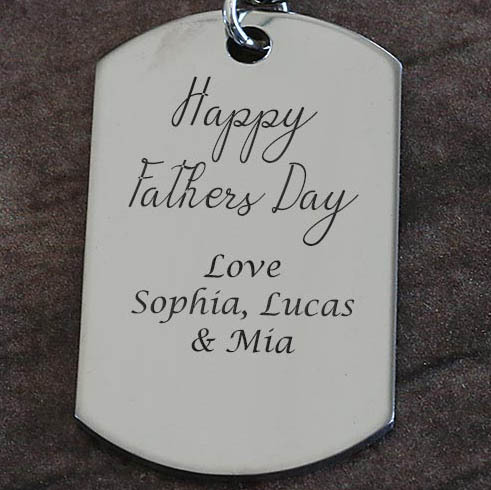 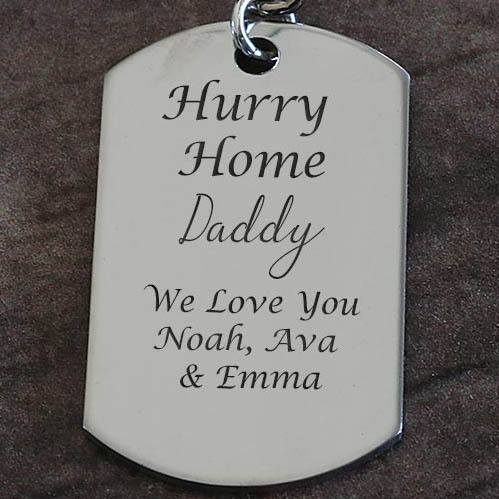 The Dad personalised keyring is a special gift for that special man in your Childs life. 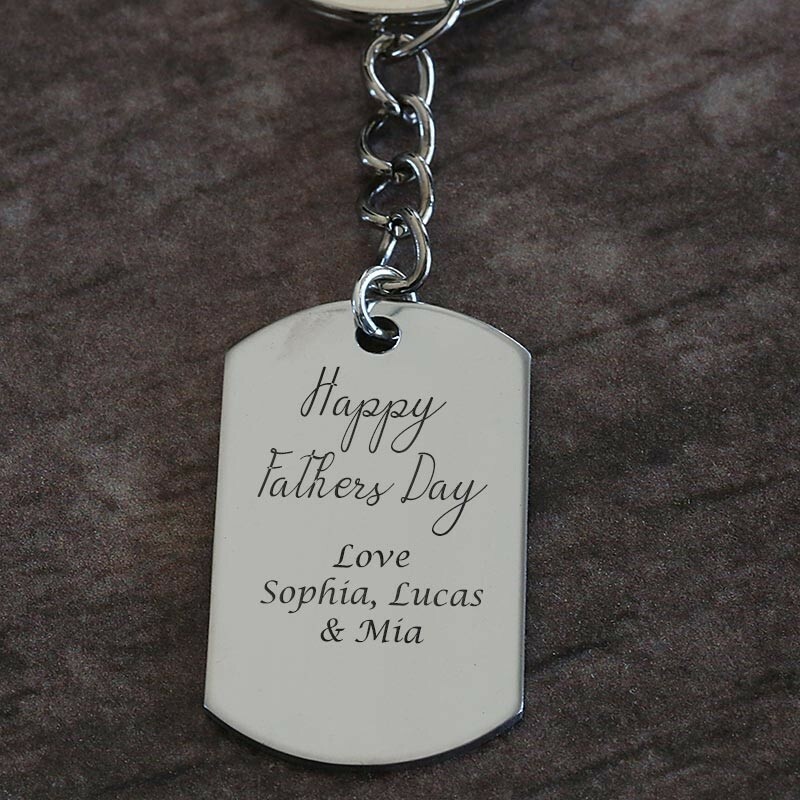 These make the perfect fathers day gift. 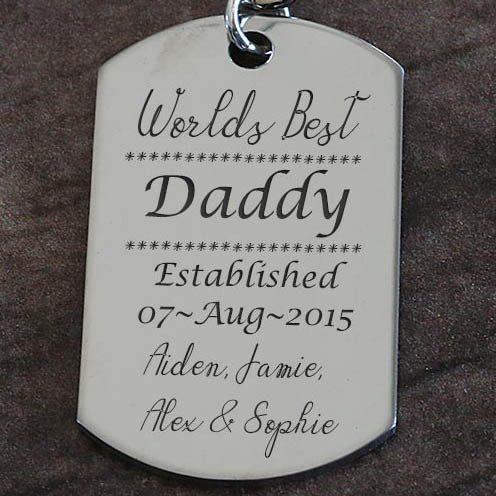 They are made from stainless steel which is strong and long lasting material. Personalise the keyring with a range of designs and options.